I purchased Steam’s Tabletop Simulator on September 27th and in the 3 days since then until the writing of this article, I’ve wracked up 24 hours of playtime. Suffice to say, I’m pretty hooked. Anyone else kinda disappointed by the hype around Wizard of Legend? While, I’ve certainly looked down upon some digital assisted games before, I think this is different. Admittedly, it’s a wholly digital experience, but it doesn’t DO any of the playing for you (minus some scripting for setting up). So, the actual gameplay experience is unchanged. Plus, it lets me play some of my favorite games that I simply don’t have the table space for without having to worry about set up, tear down, leaving it up over night or anything. 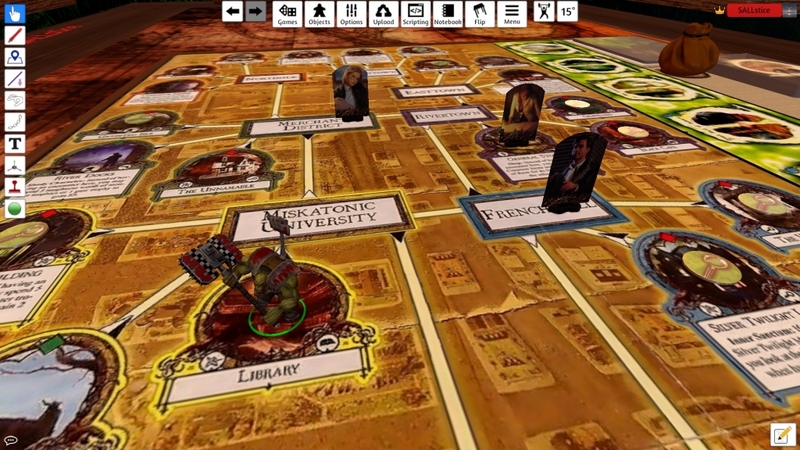 Plus, Tabletop Simulator has lots of fun additions you can find to add some ambiance to your digital table. 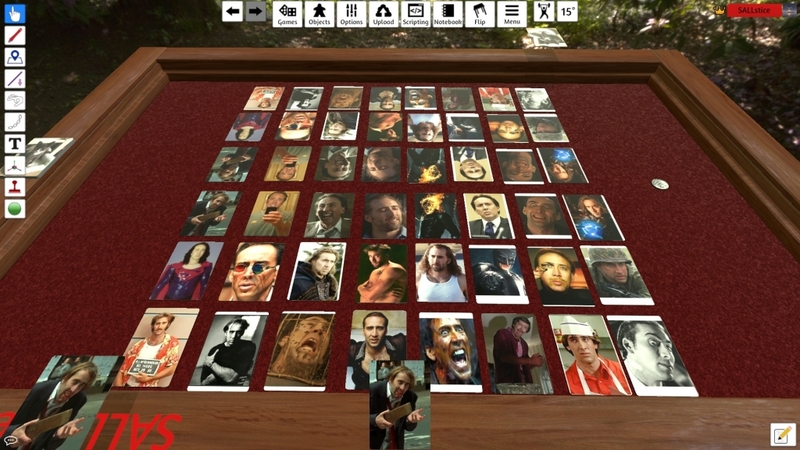 First, what is Tabletop Simulator? 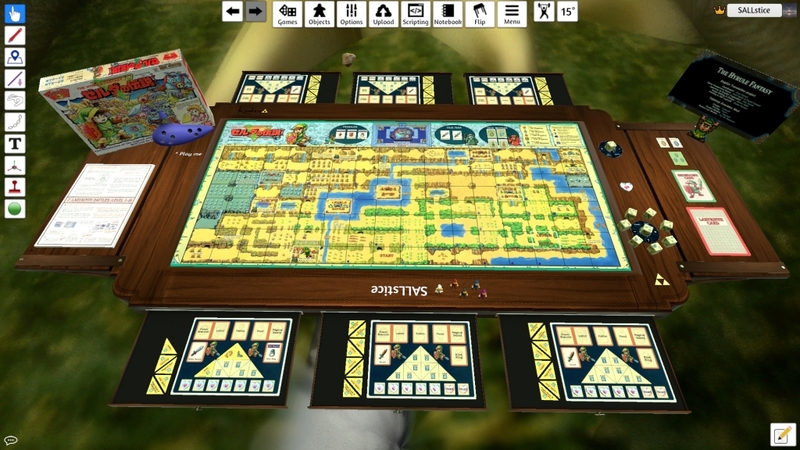 Tabletop Simulator is a ‘game’ by Berserk Games that you can find on Steam. 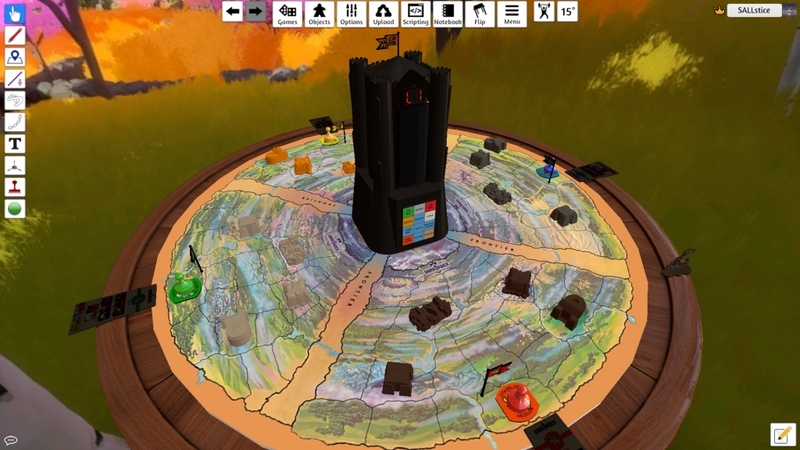 Tabletop Simulator (hereinafter referred to as TTS) isn’t so much as game in and of itself, but it’s actually a sandbox physics engine which allows parts and pieces to be created and shared among the community, which often very closely resemble tabletop games you might find in real life. 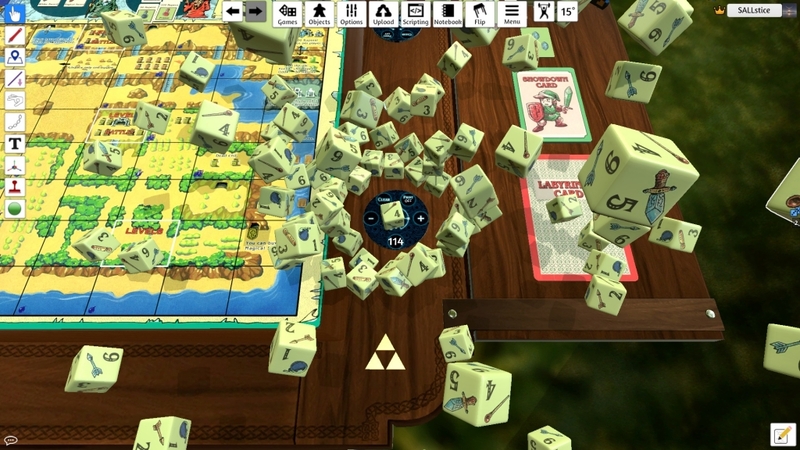 Avid BoLS fans might recognize this fan favorite, the Legend of Zelda: Hyrule Fantasy Board Game. We discussed the game itself and the amazing fan community that came together to get a fully translated version of this game up for a full print ‘n play version online. Now, even more easily accessible on TTS! I said this would be a Top 7 Workshop items list and this game is 3 of them in one. First, the game itself. Hyrule Fantasy is a super solid game and a great time if you can get a bunch of friends together to give it a whirl. It’s hyper true to the original NES game with every overworld map screen being fully represented as a separate board space. If you’re curious about the game itself, click this Link. But the Workshop item itself contains two other objects which I adore. 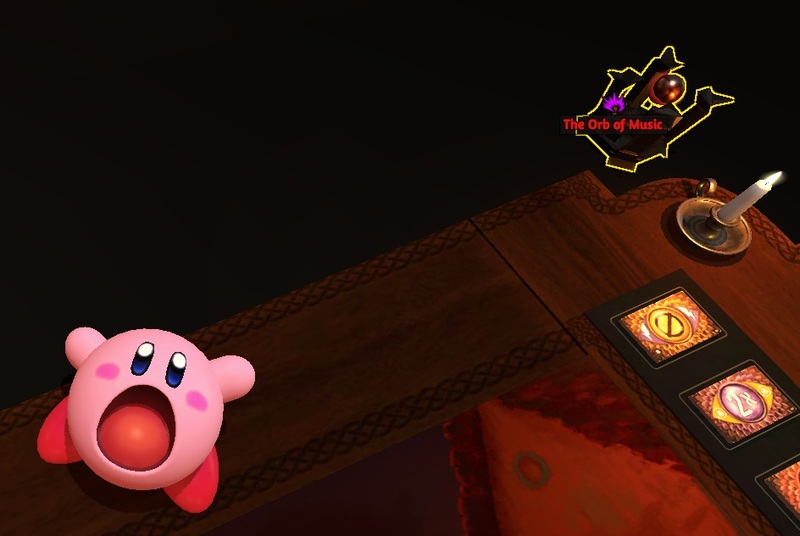 Objects from any game can be saved in your Object Library to be used later in any other game, which really lets you customize your table to your desires. 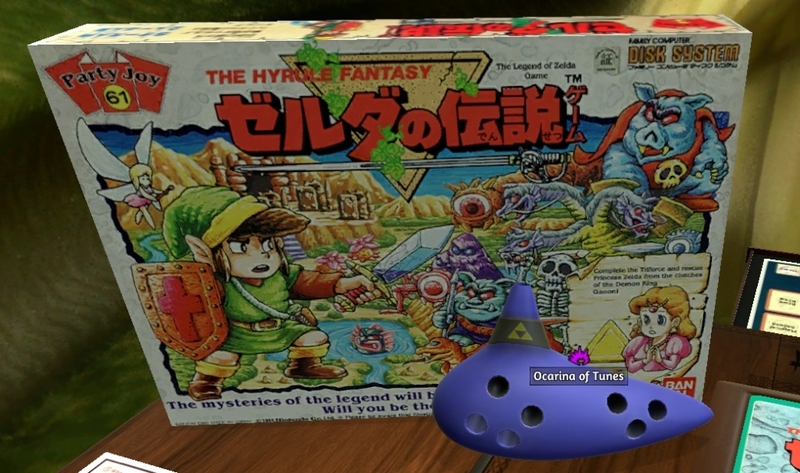 The second item on my top 7 list, the Ocarina of Tunes. By interacting with the Ocarina, you can play one of 8 different orchestral Legend of Zelda tracks. My personal favorite is the Gerudo Valley track, which is already amazing, but is an exciting and high-tension track perfect for games like Pandemic Legacy (which you can also find on the TTS Workshop) or any game where every move could be your last. 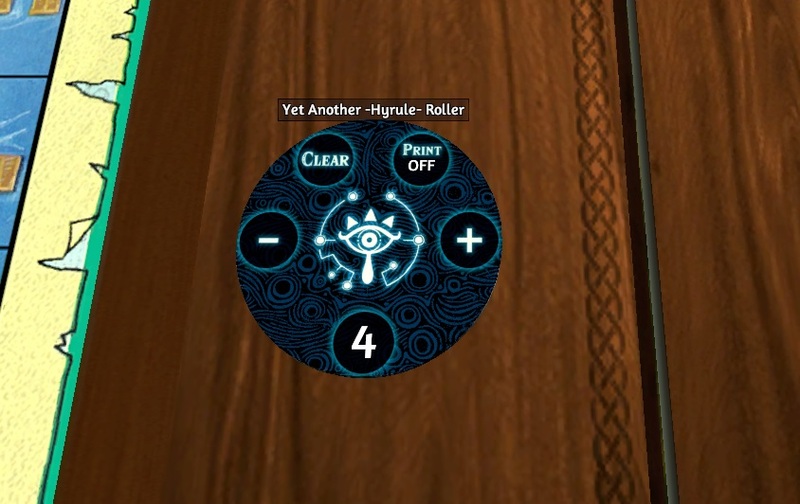 The second object from Hyrule Fantasy which I’ve absorbed into my object library is the Yet Another -Hyrule- Roller, which will be the third item on my list. The name seems to imply that these sorts of dice rollers are fairly common in the TTS community, but I’ve only been here 3 days, I don’t know what’s out there! Regardless, The Lens of Truth is my aesthetic, so I’m down with this one anyway. So the Roller has you put any die on the disc and use the + and – buttons to control how many dice you want to roll. 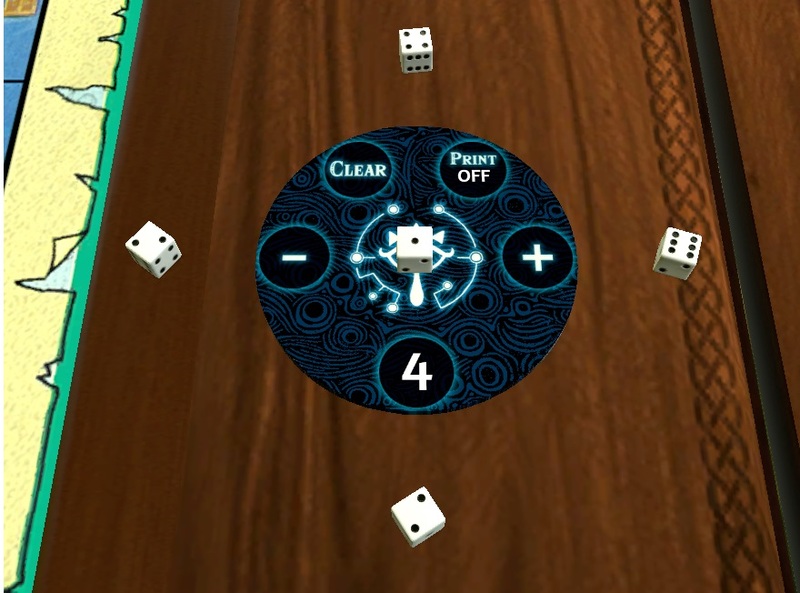 Then click the number and it’ll create and roll that many dice for you, with optional results printing to chat. But, what’s subtly so great about it is that it uses whichever dice object is placed upon the disc, so any sort of custom dice is just as viably used. 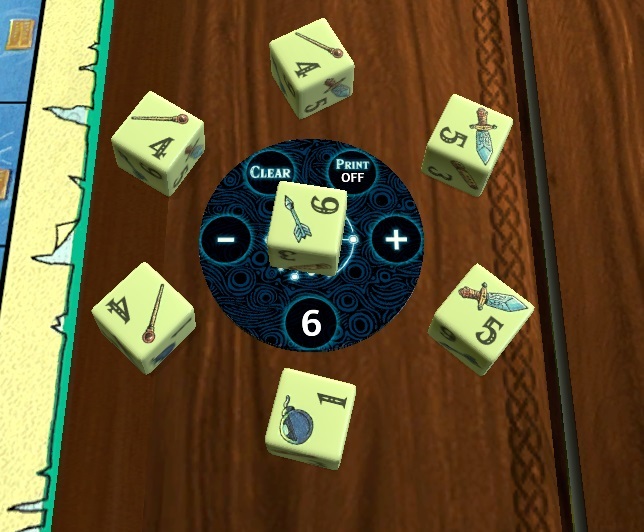 The roller also pulls the generated dice into perfect alignment around the disc for easy reading. As an added bonus, there doesn’t seem to be an upper limit on the amount of dice which can be rolled. Sooooo…. yeah…. Moving onto the fourth item on the Top 7 list. Now, lots of games nowadays require you to return things to the box when they will no longer be used throughout the course of the game. Either certain legacy games which want you to destroy the items, or unused character/role cards or whatever. There’s plenty of things which require you to return something to the box. However, TTS doesn’t really have that option. Sure, you could delete the item, but that’s not ideal. Maybe you’ll need it next play through and don’t want to reload fully or maybe you just don’t like the idea of deleting something. So, for us like minded folk, I offer everyone’s favorite puff ball. With runners up, Audial Orb and Ye Olde Candle. The Pink Bag is an excellent solution to that problem. This usually bag bears no likeness to any officially licensed character known for eating near infinite amounts of things. So if you think it does, you’re just wrong. This bag is just a large empty bag with an usual design. It doesn’t do anything special or fancy. I just like the strange design and I can’t tell you why. The fifth item on our Top 7 list is finally actually another game. The Dark Tower board game is another game we discussed recently. It was a favorite for a lot of people, but due to the nature of the electromechanical tower, it’s difficult to get a working copy nowadays. Once again TTS saves the day! With a fully functional tower which replicates the mechanical grinding and the retro electronic beeping noises, the TTS Dark Tower Workshop item is a perfect nostalgia blast for any avid fan of the game. And this brings me back to my original point in defense of TTS. This Workshop item could have been a full rework of the game and made it more smooth and functional and easier to navigate. But it doesn’t. It leaves it as true to the original as possible, giving players a fully engrossing experience they wouldn’t have otherwise been able to have. Coming up on the final stretch, item number six on out Top 7 list is DA BOYZ! Now, obviously Orks is da bestest so I shouldn’t have to explain must on why they are on the list, but if you’ve been paying attention, you might see why having Warhammer figures in TTS is so great. Any object from any game can be saved in your object library to be used later, even in other games. I’z don’t see wotz da problem. Cthulhu come frew da warp an I use da choppa on ‘im. 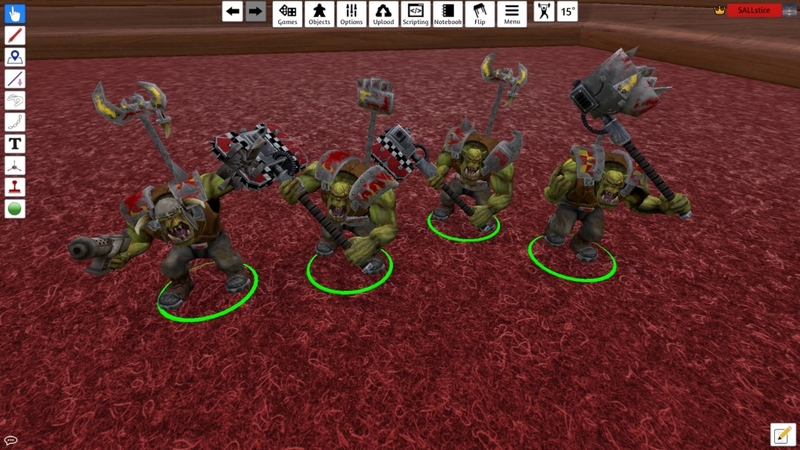 Since some kind souls have taken the time to create Warhammer figures on TTS, that means you can use any mini that is on the Workshop as a figure in any other game you’re going to be playing . It might not have any game impact, but it sure is funny. 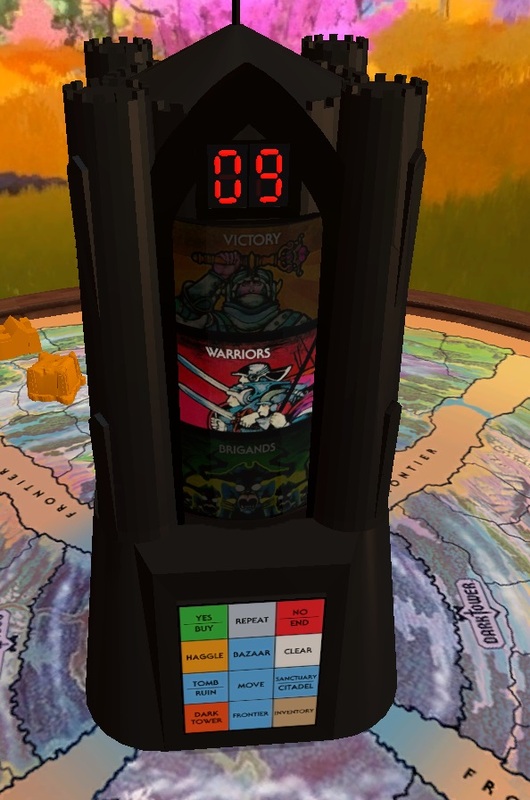 And even though all of the other items on the list were not listed in any particular order, the absolute best item on the Tabletop Simulator Workshop is……..!!!!!! IT’S ‘GUESS WHO?’ BUT ONLY NICHOLAS CAGE! AND IT’S AMAZING! END OF STORY!